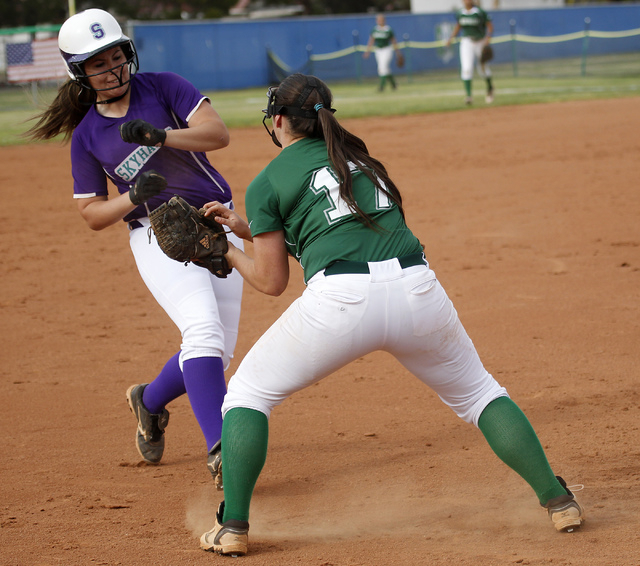 Softball teams develop chemistry at different rates, and more than halfway through the regular season, Silverado coach Kyle Crane still was waiting for the moment that brought the Skyhawks together. It finally came on Friday. Visiting Silverado scored three times in the first inning and rode a solid outing from starting pitcher Allison Harper to a 4-2 victory over Green Valley. The No. 10 Skyhawks (10-4, 1-1 Northeast League) snapped a five-game losing streak against Green Valley, including a 7-5 setback in last season’s Sunrise Region title game. The No. 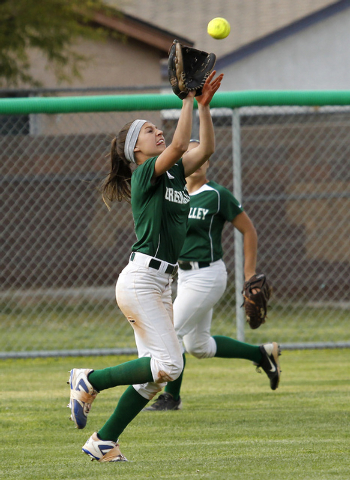 6 Gators (5-7, 0-1) banged out 12 hits in Tuesday’s 9-3 win over top-ranked Centennial, but Harper kept Green Valley off balance for the opening five innings. In the bottom of the sixth, the Gators loaded the bases on three straight singles by Jacqueline Smith, Samantha Loving and Autumn Owens before Fenixx Henderson’s run-scoring single cut Silverado’s lead to 4-2. Heaven Calhoun came on in relief for the Skyhawks and got the final two outs to leave the bases loaded. Calhoun then earned the save by working out of a two-on, two-out jam in the bottom of the seventh. Harper departed after surrendering nine hits in 5 1/3 innings, but she didn’t walk a batter and 10 of her 16 outs came on ground balls as Silverado was error-free in the field. Loving pitched 5 2/3 scoreless innings in relief for the Gators, allowing two hits while striking out seven. She also went 2-for-4 with a run-scoring double in the bottom of the first inning. Calhoun and Karissa Jones had run-scoring singles in the first inning as Silverado opened a 3-0 lead. Arieana Monturio’s RBI double to left in the second put the Skyhawks on top 4-1. Jones finished 2-for-3 with a double, and Sarah Ford went 2-for-4 for Silverado.